Browns Canyon Rafting has partnered with Mt. 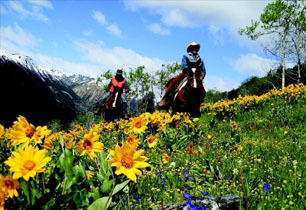 Princeton Stables to provide our guests with the complete Colorado Horseback Riding and Rafting experience! Enjoy a beautiful day in Colorado’s Rocky Mountains combined with Whitewater Rafting and Horseback Riding or you can enjoy these activities all in one day or on different days. Our Paddle-N-Saddle Combo Trip offers the complete experience, Rafting Colorado’s famous Browns Canyon in the morning and enjoy jumping in a saddle on Horseback for an afternoon horseback ride into Colorado’s Rocky Mountains! If you have not experience Colorado horseback riding, you owe it to yourself to gallop in the majestic Rockies. 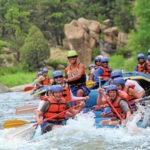 The most popular whitewater rafting trip Colorado has to offer. 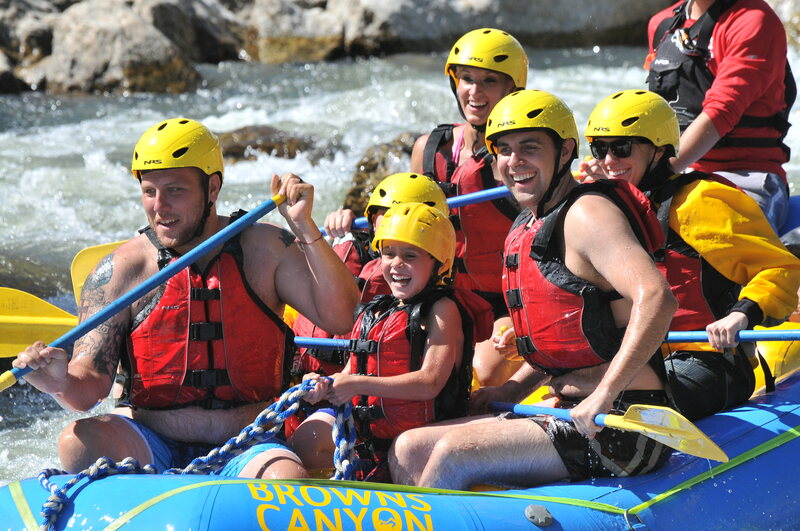 Browns canyon offers class III-IV whitewater rapids that are perfect for the whole family. When you are planning your next trip to Colorado make sure that this is a part of the adventure. This whitewater rafting trip is perfect for the first timer and a must see for the experienced rafter. We offer half day, full day and multi-day whitewater rafting trips through this section. This gives you the opportunity to see everything that browns canyon has to offer. This can be anything from a quick trip as you are passing through town or a multi-day where you will get to camp and hike along your adventure as well. Let us show you everything that Colorado has to offer and we take you through a truly amazing canyon that offers majestic views and truly exciting whitewater rafting. Remember to keep your eyes open to spot all of the amazing wildlife in the area, when you are taking a break from your paddling look up the canyon walls to spot the bighorn sheep, deer, and possibly even mountain lion. Also remember to talk to your guide to know when to take a cool dip in the river on the hot summer day. Are you ready to experience the best in Colorado horseback riding? This ride follows a portion of Chalk Creek. On this ride you will cross Chalk Creek and ride along a potion of the old narrow gauge railroad bed that went to St. Elmo around the turn of the century. The spectacular Collegiate Peaks are in view on this ride. We ride down to and cross Chalk Creek while enjoying breathtaking views of Harvard, Yale, and the base of Mt. Antero. We offer many options for Colorado horseback riding, Follow this link where you can read and decide what trip is best for you. We can combine any option with any White Water Rafting Trip, although certain options will be offered on different days. Once you decide click The “Book Now” button below to reserve your trip and you will have the opportunity to leave a note with any special needs or you can just give us a call at 719-275-2890 to make your reservation! We are happy to answer any questions and help you with deciding what works best for your group.